Collaboration is the key to taking on the world’s deadliest infectious disease. That’s the approach of the new Amsterdam TuBerculosis Center (TBC), launched this week by the Amsterdam UMC. The Amsterdam TBC is a collaboration of senior scientists with expertise across the tuberculosis (TB) spectrum including experimental immunology, microbiology, drug discovery, clinical research, epidemiology, health economics and implementation research. Through interdisciplinary research and education, the group seeks to build the scientific base required to end TB once and for all. Tuberculosis is the ninth leading cause of death worldwide and the leading cause from a single infectious agent, killing more people than HIV and AIDS, according to the World Health Organization. “We know an integrated approach is the key to eliminating TB and will require interdisciplinary scientific effort along the entire chain from basic to implementation research, which is exactly what the Amsterdam TBC team brings to the table,” said Prof. Frank Cobelens, Amsterdam Institute for Global Health and Development (AIGHD) Executive Board Chair and Professor in the Department of Global Health, Amsterdam UMC/AIGHD. 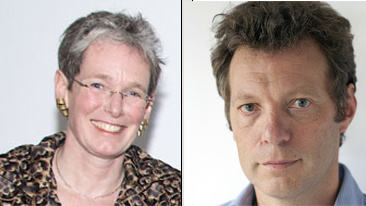 Prof. Cobelens is co-director of the center, along with pediatrician Prof. Marceline Tutu van Furth. developing international summer schools and short courses. The Amsterdam UMC is one of the founding partners of AIGHD and collaborates closely with AIGHD on research and education. As a global health research institute, AIGHD’s work focuses on a number of priorities ,including infectious disease elimination. Under that theme, the organization coordinates a number of TB-related research projects. For more information on the Amsterdam TBC, email the team at AmsterdamTBC@vumc.nl. (Photo: Prof. Marceline Tutu van Furth and Prof. Frank Cobelens, co-directors of the newly launched Amsterdam TBC).